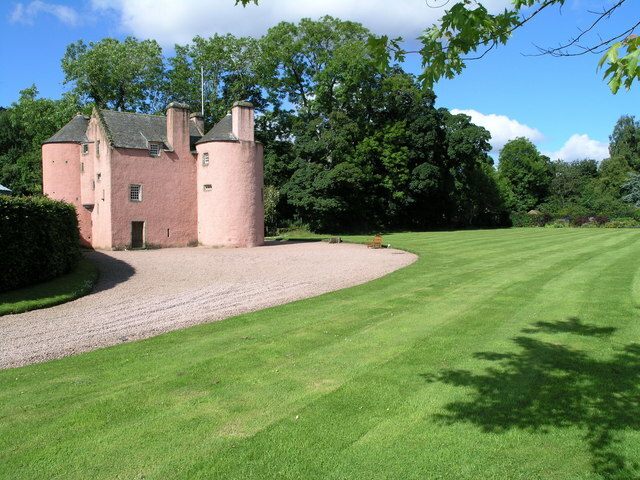 Notes: Terpersie Castle is a 16th-century tower house in Tullynessle, Aberdeenshire, Scotland, located 5 kilometres (3.1 mi) north-west of Alford. It is protected as a category A listed building. The small Z-plan tower house was constructed in 1561 by the Gordon family. In 1665 it was restored after burning down. After 1885 it was abandoned, and stood in ruins during most of the 20th century. In the 1980s the castle was restored as a residence by architects William Cowie Partnership. Terpersie is one of the earliest known Z-plan castles, defined as a rectangular main block with towers at opposite corners. The main block of Terpersie measures around 8.5 by 5.5 metres (28 by 18 ft), with two round towers of 5.2 metres (17 ft) diameter.